How to Remove Ear Wax. 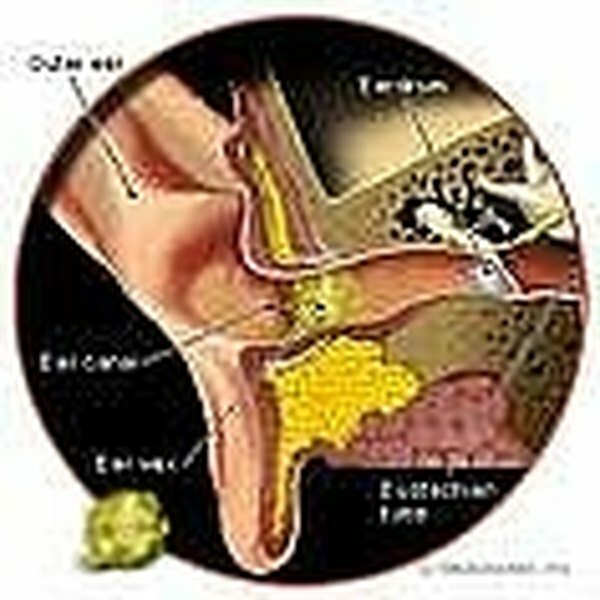 Earwax is produced by tiny glands that line the skin of your inner ear. Sometimes they overproduce earwax and your ear canal can become plugged up or clogged. When this happens you may experience a sense of ear fullness, pain and some difficulty in hearing. Normally, earwax loosens and resolves on its own, but when treatment is needed--there is a simple and effective way to unclog your ears without damaging your hearing. Mix the earwax removal solution by putting in equal parts of warm soapy water and hydrogen peroxide in a bowl. Test the water temperature to be certain it is comfortable for you. The water does not have to be extremely hot OR cold to work--just comfortable. Insert bulb syringe into the solution and prep the syringe several times by withdrawing some solution and flushing it back into the water bowl. This will lubricate your bulb syringe and make it easier to use. Gently pull your outer ear "up and out" to help straighten out the canal, which will allow better access for the solution. Allow the solution to remain in your ear for at least 60 seconds. Gently tilt your head in the opposite direction and wiggle your outer ear. You may note the solution return is now discolored or has chunks of ear wax in it. This is a good thing. Sometimes earwax may not completely fall out of your ear; gentle removal with an ear curette can be done if you can see the clump of earwax. NEVER STICK ANYTHING INTO YOUR EAR CANAL! Repeat Steps 3 to 6 on your other ear if needed. Also, you may find more than one flushing per ear may be required to rid yourself of ear wax! Earwax buildup is NOT a sign of poor personal hygiene. Regular earwax flushing may be necessary if earwax buildup becomes a chronic problem. Never insert a cotton swab, finger, curette or any other object into your ear canal! As with all medical information on the Internet, this article is for informational purposes only. Please consult your health care provider before beginning any new treatment or medication. Can You Separate Magnesium From Sea Water?